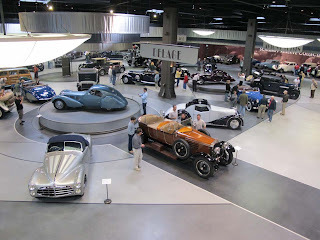 I had the pleasure of visiting the new Mullin Automotive Museum in Oxnard, California a week ago. 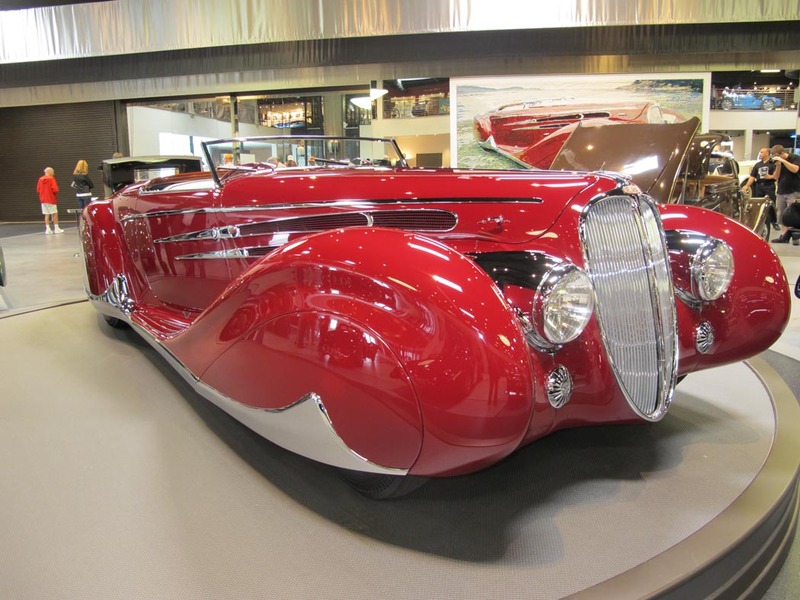 Peter Mullin created the museum to pay homage to the art deco period and display his amazing collection of "rolling sculptures" from the era. Everything about the museum is jaw dropping, from the curvy automobiles and Carlos Bugatti furniture to the architecture and historic art on exhibit. As if the first floor of the 47,000 square-foot museum isn't impressive enough, a number of very cool pre-war race cars are parked on the second floor. These include several Grand Prix and Le Mans winners. 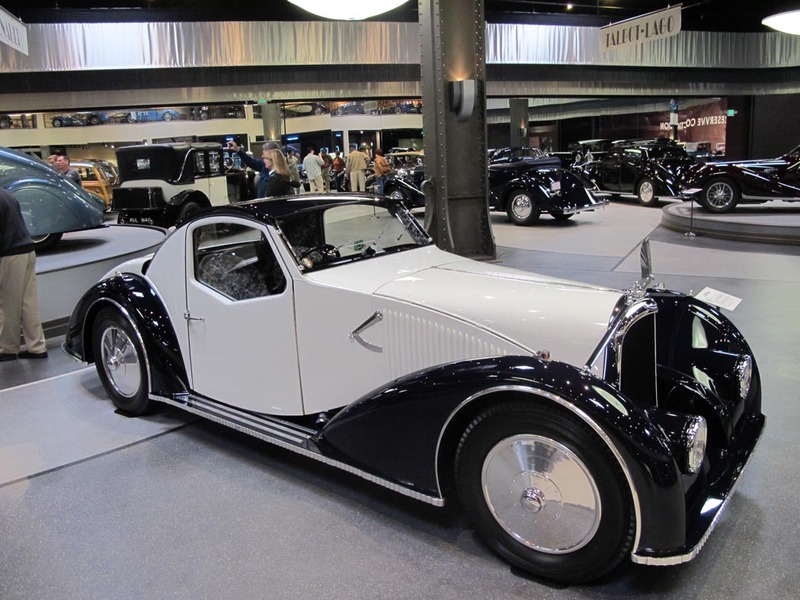 followed by this 1934 Voisin C27 Aerosport. 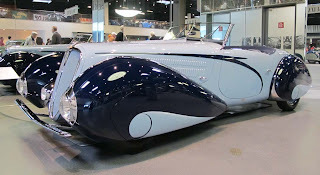 The 1937 Delahaye Type 135M Roadster was rather eye-catching too. In addition to the gleaming Talbot-Lagos, Renaults, Delages and other French beauties, I found some surprises. Remember the 1925 Bugatti roadster made famous for being rescued from a lake in northern Italy last year? It's here, along with a neat display of preservation-class autos from the legendary Schlumpf Reserve Collection. The Mullin Automotive Museum is only open for tours one Saturday a month, so plan your visit well in advance. Vehicles scheduled to come up!